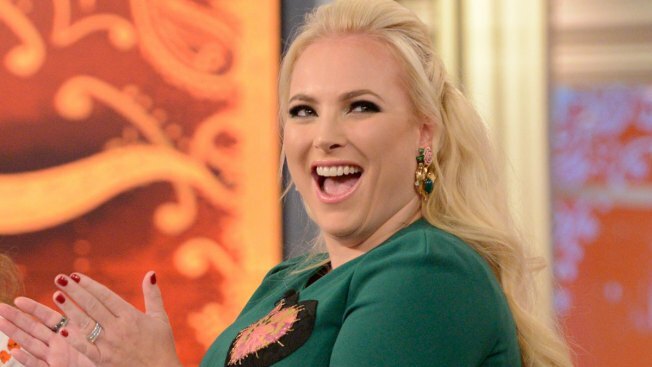 Meghan McCain is this week's reigning queen of the clapback. One Twitter user named Denise McAllister got a taste of her own medicine when she took to the social media site to air her grievances about "The View," which McCain is a co-host on. In a scathing tweet, the critic said "The View" roundtable is full of "delusional mental midgets ricocheting ignorance and lack of emotional regulation." McAllister is a contributor for The Federalist, a conservative website co-founded by McCain’s husband, Ben Domenech. Interestingly enough, Denise seemed to forget that the co-host and friend is one of her over 60,000 followers. So, of course, McCain saw the tweet. "You were at my wedding Denise....," John McCain's daughter replied to her friend. As awkward as it was, people loved McCain's witty reply that seemingly put Denise in her place. One Twitter user joked, "'You were at my wedding Denise' is going to be my comeback for everything now." Even Andy Cohen got in on the action by sharing a meme of the moment. And McCain is loving the clapback just as much as the internet is. "'You were at my wedding, Denise...' can be everyone's clap back to everyone, everywhere, forever. My gift to the internet," she told her followers. "Thank you for the support." Although, the blonde doesn't seem to forgive Denise for her harsh words. She thanked her fans for their support, but seemingly ignored Denise's half-hearted apology, where Denise claimed she was criticizing the "mental midgets" on the show and not Meghan herself. "I don't even know how you do it daily and my hat is off to you for standing strong in the midst of crazy," Denise said, apparently backtracking on her earlier statements.